Chris Breakspear was the lucky winner of the monthly Vail Mountain Safety GoPro raffle for January. 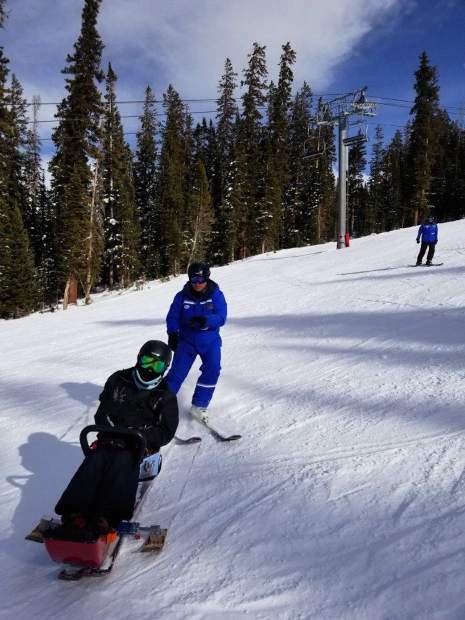 Chris and his family have been coming to Vail for 12 years and Chris participates in Vail’s adaptive ski program. Chris was such a safety expert, he earned an entry into the GoPro raffle when he and his instructors approached a Mountain Safety employee and recited the seven steps of the Skier Responsibility Code. Throughout the season, any guest can do the same and get the chance to win an awesome GoPro.